I awoke this morning to the shocking and sad news that comedic genius and all-round great actor Robin Williams had passed away. News outlets are reporting that he took his own life after a long battle with depression. It’s such a shame. Williams was a naturally funny man who gave us the manic and dazzling Genie in Aladdin, the cross-dressing Mrs Doubtfire, and heartfelt performances in films like Patch Adams and What Dreams May Come. 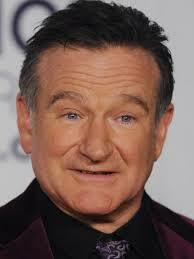 He was brilliant in Bicentennial Man and lets not forget Toys, Jumanji and The Birdcage. I wish his family well, and hope they can somehow come to terms with this terrible loss. Rest in Peace Robin.